Funeral services for Faye Dettmann of Ellendale, MN, will be held at 11:00 AM Thursday, April 19, 2018 at the Vibrant Life Assemblies of God Church in Ellendale, MN. Pastor Patrick Stitt will officiate. Visitation will be held Thursday from 9 – 11 at the church. Interment will be in the Geneva Cemetery, Geneva, MN. 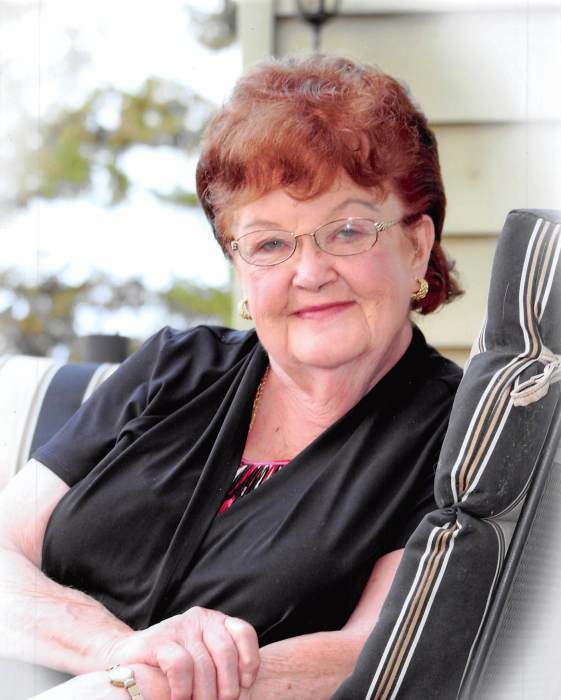 Faye went home to be with the Lord Friday, April 13, 2018 at the Homestead Hospice House in Owatonna, MN. She was 80 years of age. Faye was born February 26, 1938 in Egeland, ND, the daughter of Friederich E. and Elnora Mae (McLean) Richard. She is survived by her husband George Dettmann, children; Robert (Joyce) Dettmann, Ron Dettmann, Rebecca (Roger) Quaintance, Randy (Theresa) Dettmann, Roberta (David) Vesely and Roger Dettmann. There are 19 grandchildren and 31 great grandchildren, sister in law Brenda Richard and many nieces and nephews. Faye was preceded in death by her parents Friederich and Elnora Richard, son Dennis, two sisters and two brothers.